A message affixed to Walter Palmer’s business in the U.S. Although it was not an incident that happened in NZ or involved someone from NZ, it is clearly a wake-up call about how despicable some people are when it comes to animals. We were very upset a few years ago about the negligent poisoning of native birds and non-native but cute hedgehogs by our property business neighbour (see earlier posts) and we fully empathise with those who are outraged by the rich American hunter Walter Palmer who bribed guides in Zimbabwe to lure that country’s most famous lion, Cecil, outside the boundaries of a national park to kill him with a crossbow. According to the Zimbabwe Conservation Task Force (ZCTF), the hunt began on 6 July. 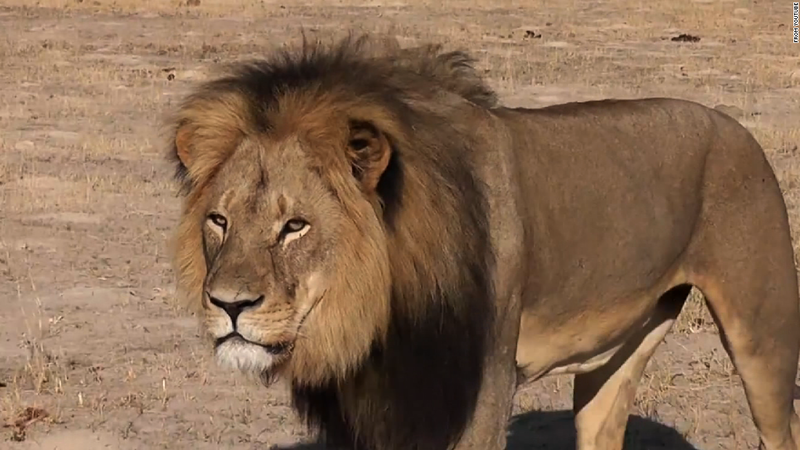 ‘They went hunting at night with a spotlight and they spotted Cecil,’ said the ZCTF’s Johnny Rodrigues. Rodrigues revealed that Palmer shot his bow and arrow at Cecil, but failed to kill him and that they stalked the wounded and stricken lion for 40 hours before finally shooting him dead and beheading him. He added, according to The Independent: ‘The head – his trophy – has been impounded and confiscated as evidence for the court in Victoria Falls’. And to add to the outrage surrounding the death of Cecil, the future of the cubs of his pride are now thought to be at risk. The cubs could be killed if the pride is taken over by another male lion. ‘The saddest part of all is that now that Cecil is dead, the next lion in the hierarchy, Jericho, will most likely kill all Cecil’s cubs,’ Rodrigues said. It’s not the first time Palmer has been in trouble over his lust to kill important animals: he pleaded guilty to making a false statement to the U.S. Fish and Wildlife Service regarding the precise location of where he killed a black bear in 2008. Palmer was placed on a one year probation and fined $2,939 after it was found that he was not licensed to kill the bear in that particular area. 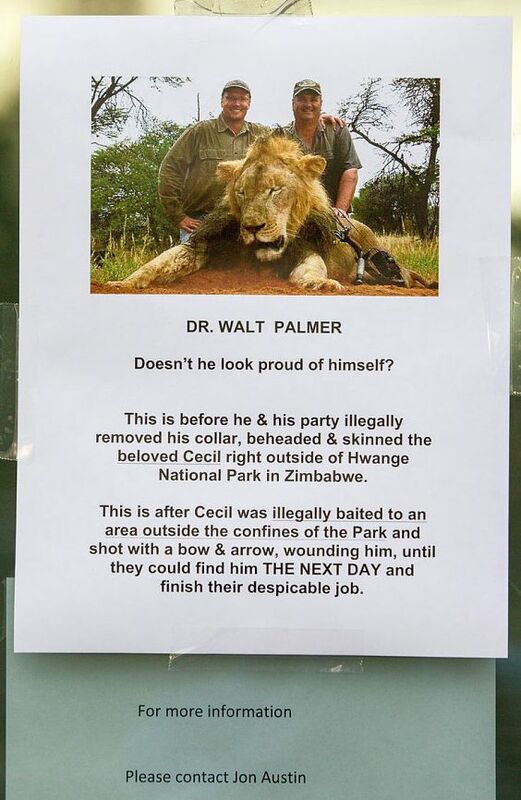 We hope that Walter Palmer gets what he deserves: he will probably bribe a judge in Zimbabwe to let him off, but folks in the U.S. will do what they can there — details here. Our favourite charity in NZ is the SPCA. 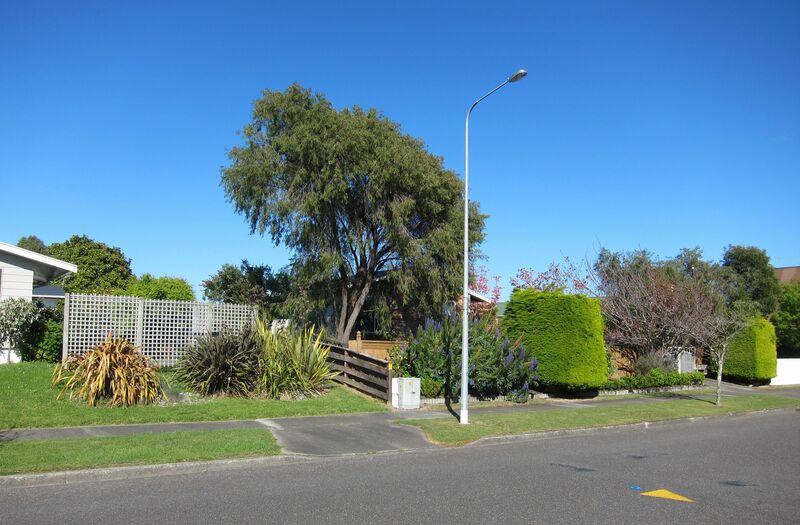 If you look around the newer streets of Churton Park in Wellington, where the above picture was taken, you’ll be reminded of the words of this song by Malvina Reynolds (if you can remember the 1960s). The general trend in housing over the last 40 years or so has been for sections (lots) to get smaller and houses to get bigger. 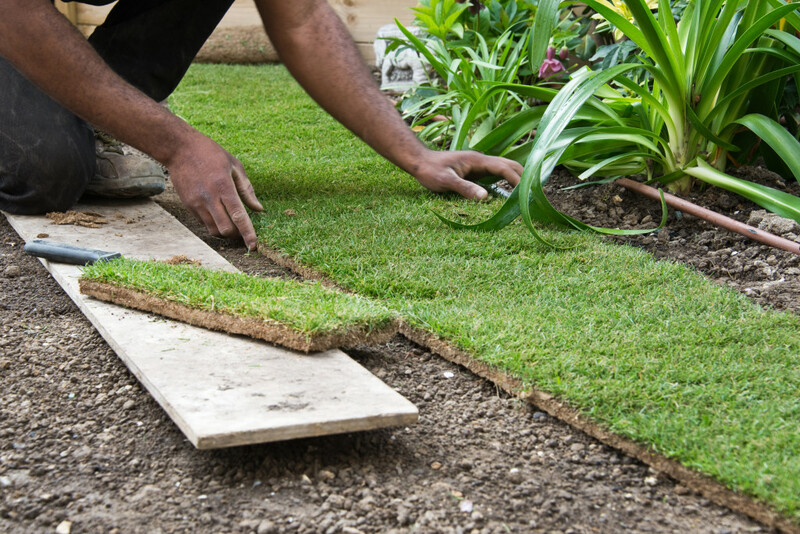 This means that yards have got smaller and people are closer to their neighbours than used to be the case; sometimes only a couple of metres separates one house from another. Is this a good thing? 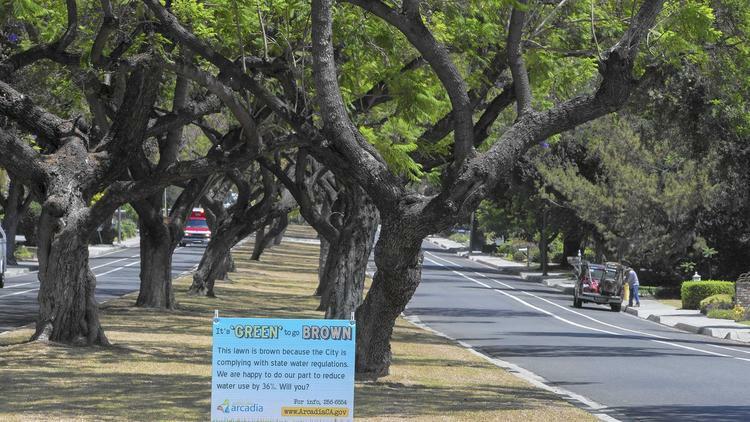 Not if you like privacy and greenery around you. Once upon a time kids liked to play in their parents’ gardens, although with nearly every kid having their own computer in their rooms now, that is much less the case. 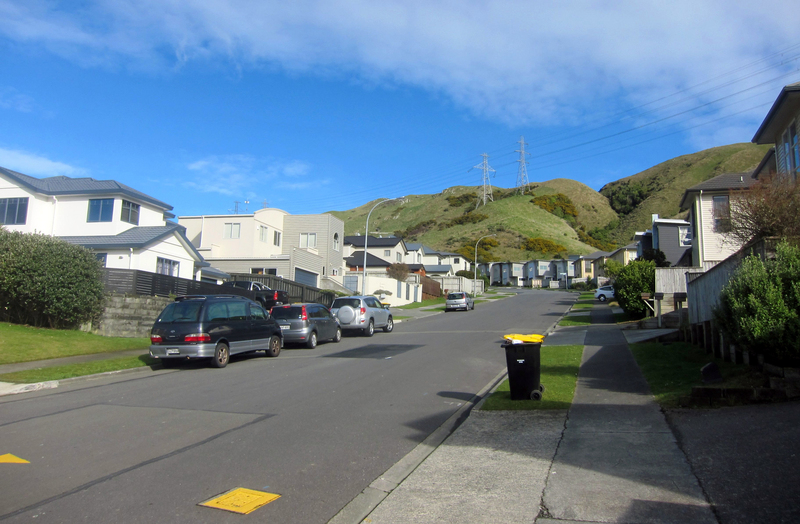 This is yet another aspect of the new housing proposals being promulgated by property developers in Waikanae that is cause for concern: higher density congestion and visually dull streets. This and other reasons given earlier should make clear to our elected representatives why existing residents are unhappy. Fortunately, demand for housing in the Wellington region is keeping pace with supply and the demand itself isn’t great (unlike in Auckland), but that could change in a few years as Auckland becomes less and less affordable. 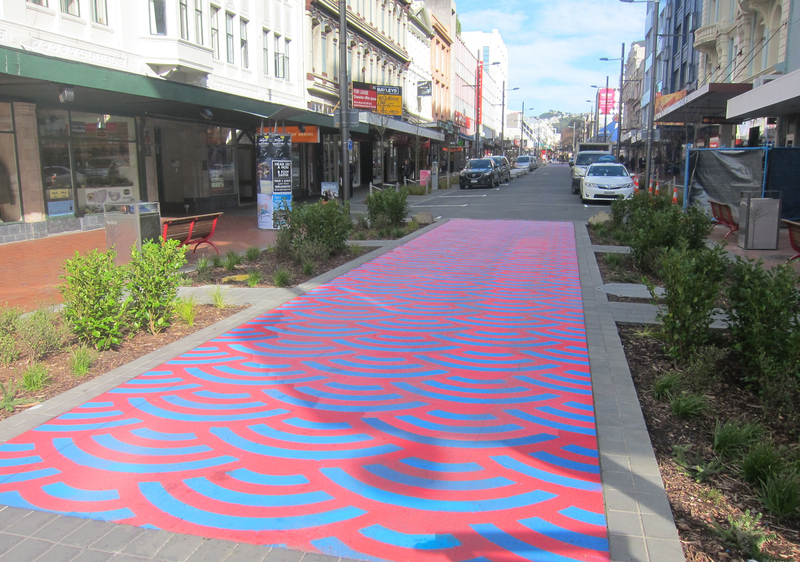 We noticed this today at the north end of Cuba Street (there is another section further up out of sight in this view), and wondered if this is the sort of thing the KCDC had in mind when it mentioned a ‘cultural pathway’ between Ngaio Road and the Marae in its Long Term Plan discussion document (see earlier post). Conservationist Tony Orman has concluded an excellent series of short articles about the highly detrimental impact of sodium monofluoroacetate, better known as 1080, in the Kapiti Independent News. We became intimately aware of the poisoning issue when in 2010, four hedgehogs and two tui birds from a neighboring retirement village came into our property and died. 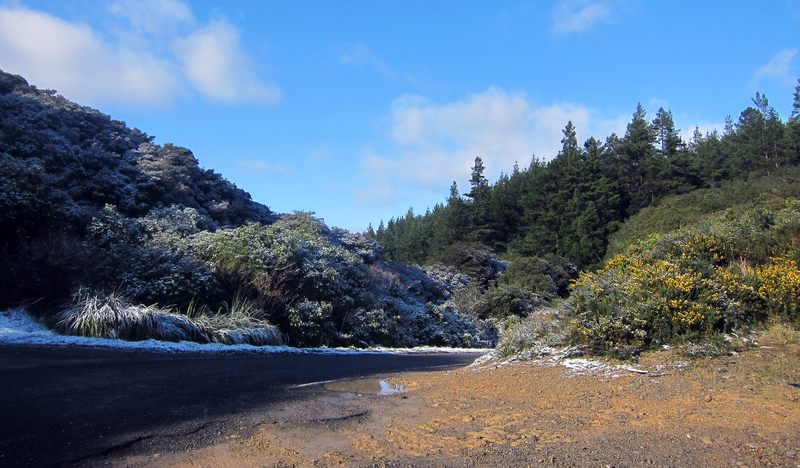 As the tui is, like all native birds, protected and the protection is enforced by the Department of Conservation, that is where we went. They told us that they had already spoken to the manager, who has the management contract for that business, about poisoned native pukekos that used to exist there. The deaths of the hedgehogs wasn’t quick, it took a few days. We can only begin to imagine their suffering. Needless to say, it made us committed anti-poisoning campaigners. In this case the poison didn’t appear to be 1080, rather something else, but the impact was the same. We well understand the need to eradicate possums which do a lot of damage to the country’s native flora and fauna, but why not let trappers and shooters do the job? There is in fact no possum problem where we are, although there is a small problem with rabbits. However, given that rural land around Waikanae is increasingly being turned into housing subdivisions (some of it by this man), then so what? What really concerns us is the potential of people’s pets being poisoned. Cats in particular like to engage in nocturnal neighborhood patrols – and we have lived in apprehension ever since the above episode of the prospect, as have others around our neighborhood. Kapiti people are blessed with copious rainfall, too much at times — but those diagonally opposite in the Pacific aren’t so lucky. New housing areas there are sure to want the unnecessary water meters that exist in the KCDC area! 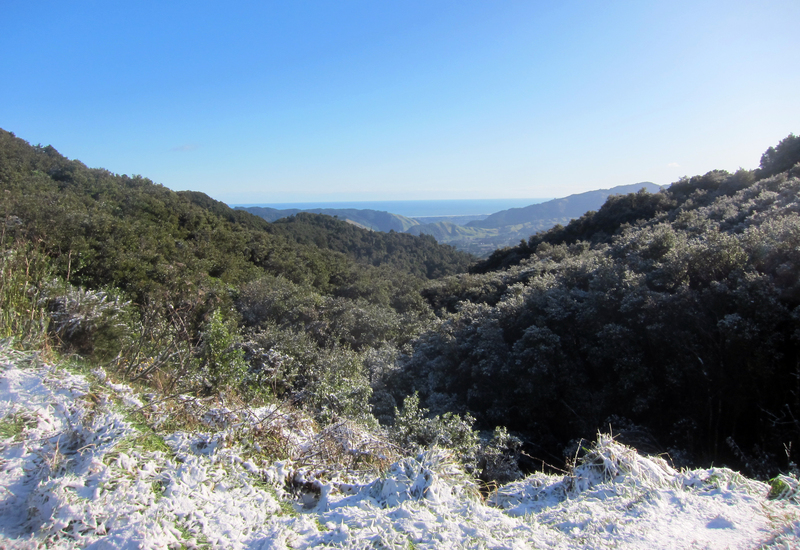 Los Angeles averages only 15.1 inches (384 mm) of precipitation per year which is less than a third of Kapiti; for the year to date it has only been about 60% of the average. 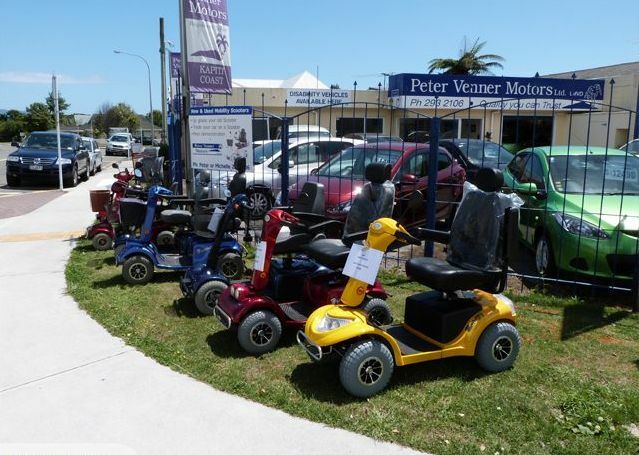 is Waikanae one big retirement village? Waikane may have one of the largest populations of over-65-year-olds in the country and a mobility scooter seemingly on every street, but the town’s promoters say they are sick to death of the town being tagged “God’s waiting room.” Former Kapiti mayor Brett Ambler coined the phrase more than 10 years ago and it stuck – perhaps a sign of its accuracy. Destination Waikanae member Sue Lusk, 61, said not just elderly people lived in the town. “About 25 per cent of the population is over 65 but 75 per cent of everybody else includes a lot of young families and a terrific number of very well people. It is a bit heart-breaking when the myth is constantly reinforced. It’s an impression that is easy to get and you’ll see more electric quad scooters whizzing along the streets than just about anywhere else. 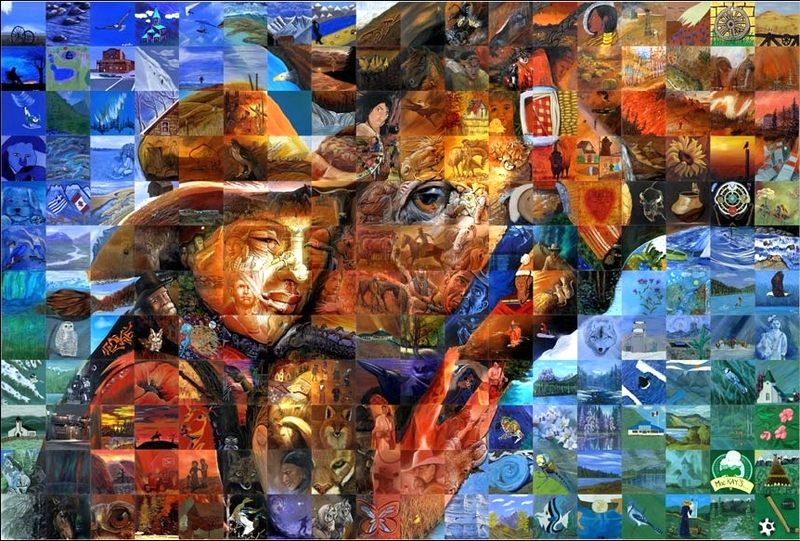 As a relevant note, the KCDC had a public art budget of $54,000 for the 2014-2015 financial year to the end of June — and how much of it was spent? Zilch.